Whether you are doing a clean-up project, working on landscaping, or remodeling your home, it is always necessary to figure out what you are going to do with all the waste and garbage. Simply filling up your regular garbage cans is not a logical choice because they would be full in five minutes. Hauling loads to the dump takes a lot of time—time that you could be getting work done. If you are looking for a solution for your next project, you should look into renting roll off containers. Roll off containers are the perfect solution to your problems. You can rent roll off containers for a few days, a few weeks, or even a few months. However long you need the containers, it can be arranged for you to keep them. You can also have them emptied once they are full and new ones delivered. There are also many different sizes available, so no matter how big or small your project is, you can find a container that will fit your needs. Another great thing about renting roll off containers is that they are delivered right to your property or jobsite. You set up a date and time for them to be delivered, and then they are there ready for you to fill up. You can store them close by, so you don’t have a long walk every time you throw something away. This will save you a lot of time and will help get the job done much faster. When the containers are full and the job is done, they are removed from the property and the waste company will take care of getting rid of all of the garbage. 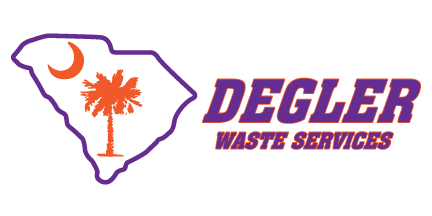 If you are looking for an affordable and reliable place to rent roll off containers, contact us today at Degler Waste Services. We can help you find the best container for your needs. We can help make your next project a bit easier by providing an easy and convenient solution for getting rid of all the waste, debris, and garbage.